Arthritis affects the joints of the body, and can be classified into several types based on the etiology of disease—osteoarthritis, rheumatoid arthritis, to name a few. Osteoarthritis (OA) is a progressive deterioration of articular cartilage cushioning the ends of bones due to wear and tear. 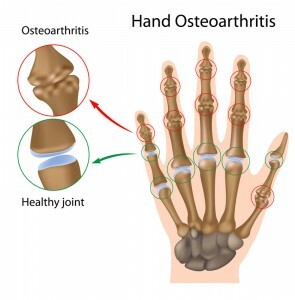 Rheumatoid arthritis (RA) is a chronic autoimmune condition causing degeneration of the joints of the body. Thumb arthritis is caused by the wearing out of the basal thumb joint (carpometacarpal), and may happen early in life. 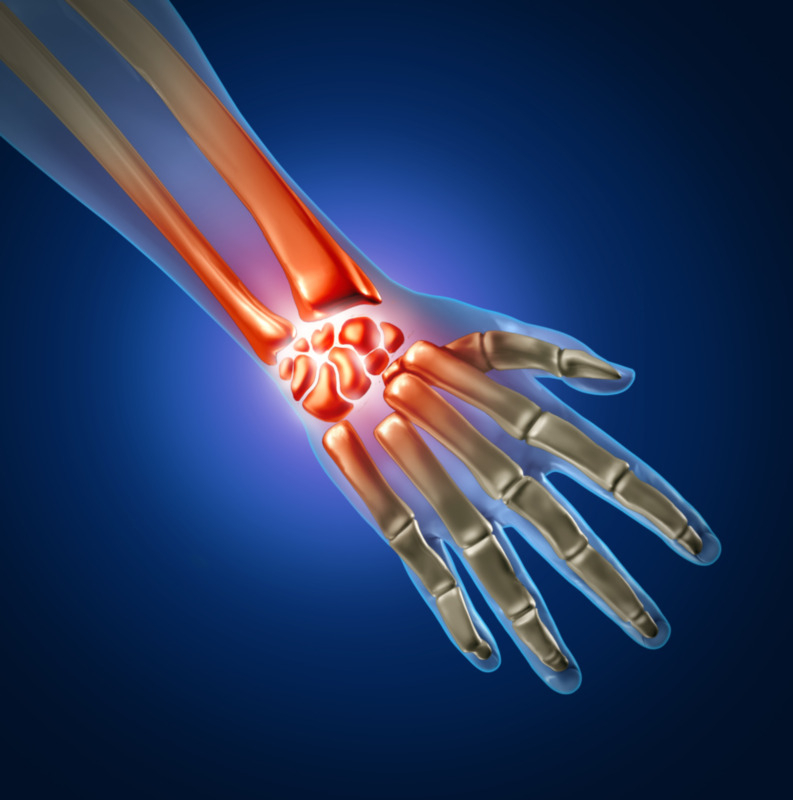 Wrist arthritis is generally caused by either osteoarthritis or rheumatoid arthritis. Symptoms of hand and wrist arthritis include joint swelling, pain, loss of mobility, changes in the surrounding joints and the appearance of cysts. Hand and wrist arthritis can be diagnosed by physical examination, blood tests to detect autoimmune activity, and X-ray imaging to identify structural abnormalities. Non-surgical measures include the administration of oral non-steroidal anti-inflammatory drugs (NSAIDs) to relieve pain and swelling. Adequate rest, hand immobilization and activity modifications are also useful for the control of symptoms. If required, steroids, such as cortisone, can be injected into the affected area for an anti-inflammatory effect. However, the relief is not long-lasting, and is associated with side effects, such as weakening of tendons and ligaments, skin lightening and infection. Finally, for rheumatic arthritis,disease-modifying anti-rheumatic drugs (DMARDs) can be prescribed to prevent immune action on the joints. 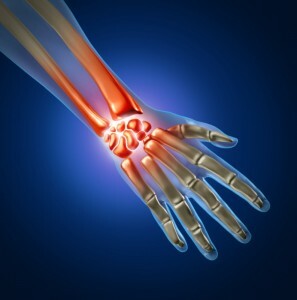 Surgery is necessary for arthritis that does not respond well to conservative approaches. The goal of surgery is to eliminate the arthritic bone, replace the damaged joint with an artificial one, or fuse together the carpal bones. Surgical interventions are usually followed by a long recovery period, which may include immobilization of your hand with splint or cast. Typical recovery period is about 3 months, and may vary depending on the patient’s condition. Although stem cell research is in its early developmental stages, it is a rapidly evolving field, shedding important light in new therapeutic areas. 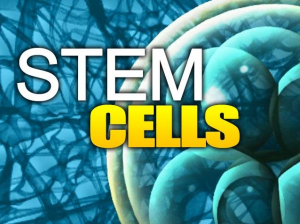 Stem cells are immature cells that can undergo a process of differentiation to form different cells of the body, such as bone, blood, cartilage, ligaments, etc. Stem cells have shown great promise in regenerating damaged joint surfaces in animal as well as human studies. Hand and wrist arthritis patients who require surgery to relieve symptoms may consider innovative stem cell therapy for better control of their disease. While reconstruction surgeries may benefit patients, it requires a long recovery period and in some cases new joint problems may arise later. In this regard, using one’s stem cells to repair and regenerate the damaged joint tissues is an exciting new possibility. Unlike conventional therapies that merely focus on relieving the pain and swelling, the injection of stem cells to the affected area can restore normal function by generating new healthy cells. Stem cells are present in the body. As we age, it becomes increasingly difficult to deliver enough stem cells to the areas of damage or injury. Therefore, current stem cell therapy focusses of extracting adult stem cells from the patients and re-injecting them in high concentrations into the affected site. Mesenchymal stem cells can easily be obtained from the bone marrow of patients. In addition, donor stem cells in the form of amniotic derived stem cells and umbilical cord blood cells, can be obtained from FDA-approved tissue banks for the same purpose. By delivering concentrated stem cells and growth factors to the injury site, the body’s ability to naturally heal itself is enhanced. At R3 Stem Cell Clinics we offer treatments for various hand and wrist arthritic conditions, which seem to respond well to stem cell therapy and platelet-rich plasma therapy. Gates CB, Karthikeyan T, Fu F, et al: Regenerative medicine for the musculoskeletal system based on muscle-derived stem cells. J Am Acad Orthop Surg. 2008; 16(2):68-76. 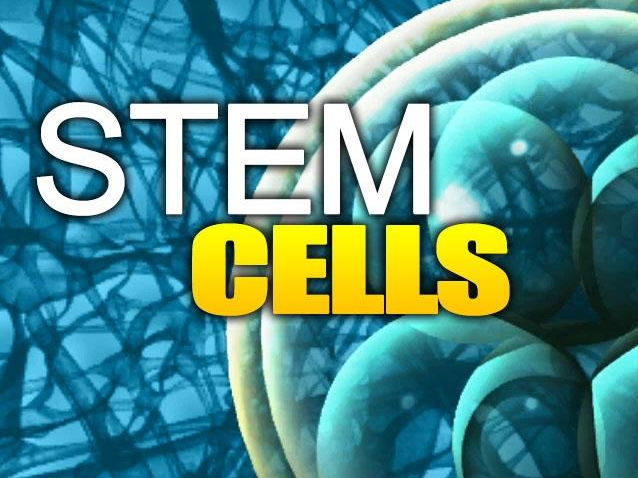 R3 STEM CELL OFFERS BOARD CERTIFIED DOCTORS WHO PROVIDE AN EVALUATION AND OPTIONS. CALL (844) GET-STEM TODAY!